A sign gives a business a unique advantage in standing out. The exterior signage is often the first impression a company has of a business. A person passing by a location on the street can spot the business from a distance and know that they have reached their destination. The business can convey a brand promise to a customer with proper signage or even be strategically placed to encourage impulse buys for customers. How Important Is Attractive Signage? The perceived professionalism of a business often hinges on the quality of the signage product used. A well-designed piece of signage draws attention to the company and instantly connects the viewer with the company. If the business signage is professionally designed, the potential customer is more likely to recognize the brand and form an association between the company and its location with subsequent interactions. The business that needs to stand out cannot afford to have lackluster signage. Channel letters used in signage to present a polished, professional image for a business. What Are Reverse Channel Letters? Flat letter designs often lack depth, so some prefer the use of channel letters. 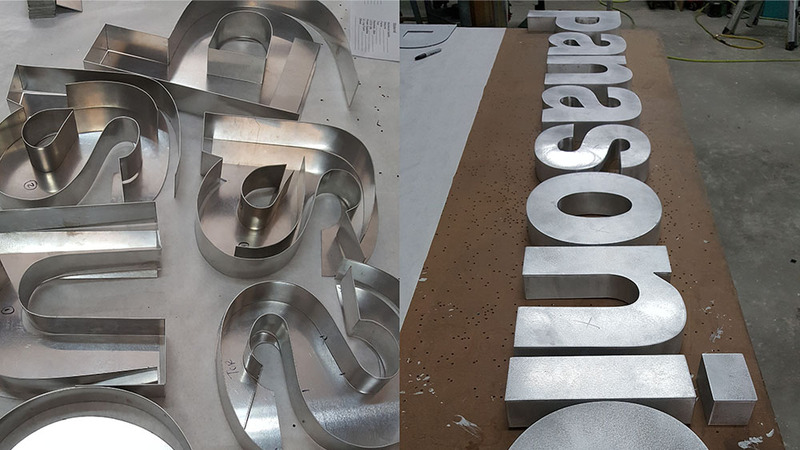 Reverse channel letters a custom made, three-dimensional signage used for businesses. Suitable for internal and external placement, the versatile signs can be suited for any type of business. The signs are illuminated for recognition and are one of the single most effective branding tools a company can have for a business. Custom signage with channel letters can work internally and externally for business locations. Strategically placed in a store, custom signage can draw in customers to a particular section of the store for a seasonal display or sale section. It can be used to help customers navigate an unfamiliar location with ease. The customer can learn about the brand with the signage. The signage conveys messaging and subtle signals for a brand. Externally, impactful signage may attract local customers and people from other areas. A newly opened business may not have the brand recognition that more established companies in an area would. The signage could really be instrumental in helping a customer identify a location. 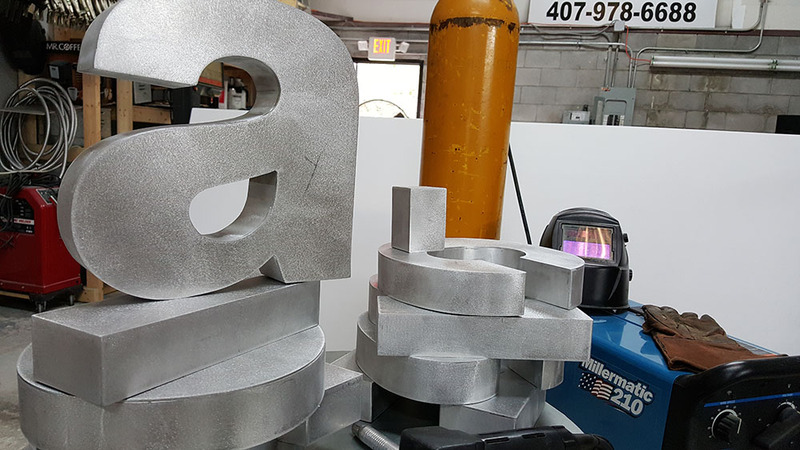 Durable signage made with channel letters are made from polished alloys like stainless steel with anywhere from a 20-gauge or 22-gauge steel. The metal-based coatings and finishes lasts longer on custom signage. Metal used withstand extreme weather conditions. The nonstandard lettering is designed specifically for the brand. When paired with LED or neon lighting, the lettering can be that much more effective in attracting customers. Self-cleaning signage with coatings like satin aluminum delivers a consistent, clean appearance. Custom signage creates an advantage for a business. Strategically placed, it can be used internally to attract customers to different sections within a location. When it’s used externally, it can serve as a branding mechanism and distinguish the location from others.